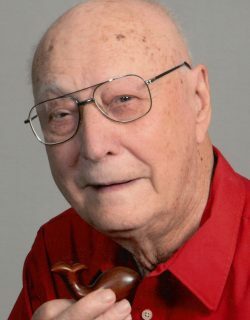 A Memorial Service will be held on Sunday, May 19, 2019 at 3:00 p.m. at the First Mennonite Church in Bluffton. Visitation will be held from 1:30 until the time of the service at the church. Private burial will take place at Maple Grove Cemetery in Bluffton. 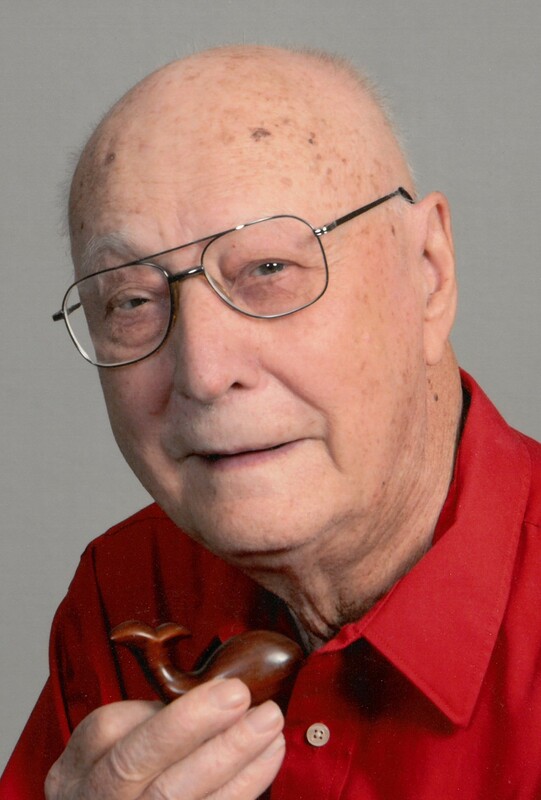 Paul I. Dyck, 93, of Bluffton passed away April 13, 2019. He was born on Jan 14, 1926 in Olds, Alberta, Canada to the late Jacob and Elizabeth (Neufeld) Dyck. He married Lois Mae (Bartel) Dyck on August 14, 1956 and she preceded him in death on December 8, 2005. Paul’s family and friends remember him as an active, curious learner, generous with his time and stories, and a gifted wood worker. From his childhood on the western prairies of Canada during the Depression to the end of his life, he showed a gift for initiative and innovation. After completing undergraduate (Bethel College) and seminary training (Chicago Theological Seminary), he moved to India in 1956 with his wife Lois and two young sons, to serve as missionaries with the Mennonite Mission Board. Paul served as the administrator of a hospital and rehabilitation center for people with leprosy. In the move to India, he relished the challenge of learning the language and embraced the people and culture while in his new home. While in India, he showed a knack for creative problem solving, whether refitting a tractor to plow in a flooded rice field or supporting the social and livelihood needs of people living with the stigma of leprosy. After returning to Canada in 1968, he pursued his fascination for cultural dynamics by completing a Master’s degree in anthropology, developing theories of how people can transcend the limits of caste structure. In 1973 he received an invitation to move to Bluffton, Ohio to take on the role of administrator of Mennonite Memorial Home. For 18 years, he led a significant expansion of the facilities, and initiated a variety of new services for elders in the community. He had a lifelong love of learning, with a driving curiosity about the world and people. He usually reached beyond the normal way of looking at the world, which is astonishing, coming from a background that discouraged higher education. He kept up his love of reading science and history texts all his life. He was usually reading several books at any one time. His love of learning naturally translated into a love of teaching. He taught English at the Mennonite Collegiate Institute in Gretna Manitoba, and in later years at Bluffton College, as an instructor at Bluffton College in Anthropology. He also taught at the Institute for Learning in Retirement, in diverse topics such as the origins of the English language, the history and geographies of India and of Canada. Along with a fascination for the wider world, he held a deep love for family and personal friendships. While spending his entire adult life far from where he grew up, he cultivated ties with extended family, building new friendships, affirming the worth of those ties across the years. He maintained friendships forged in the villages of India, connecting by letters, phone calls, and email. He loved using Hindi to make new friends wherever he went. He and Lois served many spicy Indian meals and fostered the love of Indian cuisine across the Bluffton community. Lois and Paul forged a family with deep love, affirming and supporting their four children and their families. He is survived by his four children: Rodney (Marie Yoder) Dyck, Curtis (Shelly) Weaverdyck, Martin (Liz) Dyrst, Doris Bartel (Su Flickinger), 10 Grandchildren, 4 Great Grandchildren, siblings: Jim Dyck, Lorna Louden, and companion of 10 years, Fran Core. Memorial contributions may be made to the Mennonite Memorial Home, 410 W. Elm Street, Bluffton, Ohio 45817 or First Mennonite Church, 101 S. Jackson Street, Bluffton, Ohio 45817.